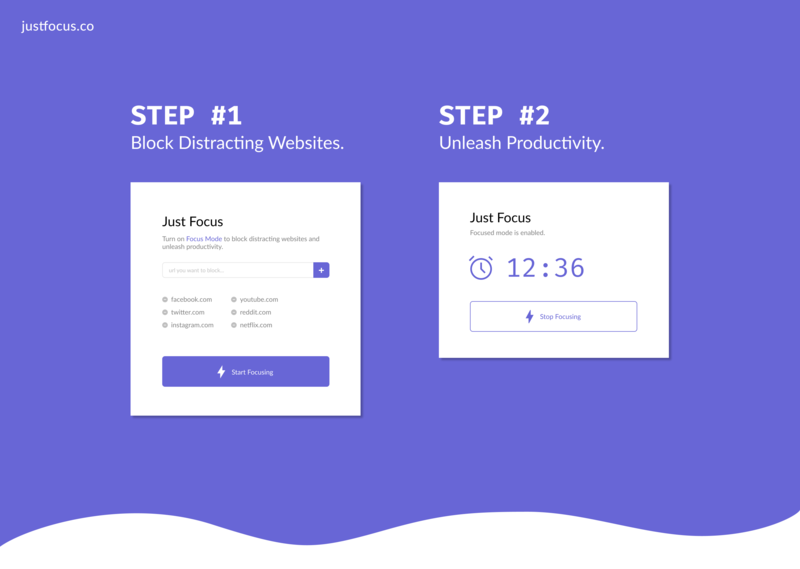 Today, a few friends and I launched Just Focus – a free chrome extension that helps you avoid distractions and enables you to focus on your real work. Simply add a website to your block list and hit “Start Focusing” –– you’ll increase your working efficiency and get more done. We built it in less than a week! And we are #1 right now on Product Hunt. We waste hours a day scrolling through social media. Just Focus helps you get your time back. We found alternatives to be too bulky for our taste. We hope you will appreciate the simplicity and ease of use of our app.